If you’re looking for clean lines and an elegant use of color and lighting, one need look no further than the living room of Nik from Sweden. Nik was one of the very first people to post his setup on the XBMC Facebook Fanpage. Ever since then, after convincing him to let us crash at his place whenever we happen to be passing through Sweden (i.e. possibly never), we’ve been trying to get him to agree to a Feature Friday. This week, we finally succeeded! Next week, we plan on asking him to loan us 20 kronor for the bus. Nik’s place looks like it could easily be used as a set for a show like the West Wing. There is no overhead lighting to speak of, and the resulting colors are beautiful to behold. All of the light sources in the room come from specific items, like the windows, and the fish tank, and the hallway, and, of course, the hidden light behind the miniature pirate ship. This is Micah’s gaming PC. Often, Micah will play a few quick hours of Star Trek Online with his gaming PC. Naturally, this means he needs some serious processor power, which is why the PC is equipped with a Core i7 3.06GHz quad-core processor and a GTX 470 video card, along with 12 gigs (soon to be 24 gigs) of RAM. It’s also got some extensive fans and a serious gamer case. This is Jonathan Marshall. He’s a New Zealander and the president of the XBMC Foundation, and right now he’s standing in his crawl space. You may note the lack of a floor in his house. Come with me to the home of Lutz, one of our Germany XBMC users. Lutz’s home doesn’t have a bat cave or any other kind of man cave. There are no super creative touch screens or repurposed upstairs bedrooms. In fact, the intro to this post aside, Lutz doesn’t even proudly display any delicious Milka chocolate or Haribo. What Lutz does have is oodles and oodles of candy. Tech candy, to be specific. As a rule, I try to be as jealous as possible of everyone who submits a Feature Friday. Lutz may just take the cake for most assorted things I want. For this week’s Feature Friday, we turn to AJ Perkins of the UK. AJ has a pretty awesome living room setup, but this week we’d like to take a break from just telling you about how awesome the various homes of users are. Instead, I’d like to ask you to bring a loved one over to the computer. That’s right, we’re going interactive! 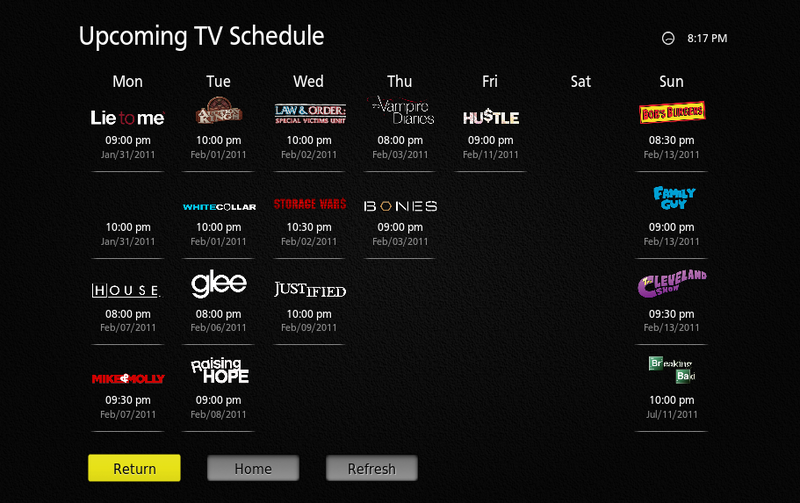 This week, we’d like to take a minute or two to show the friends and family members of our XBMC users just how cool XBMC can be. So XBMC user, please stand up, go grab somebody you like (and, more importantly, somebody who likes you enough to put up with reading the blog you follow religiously), and pull them over to the computer. We’ll wait. Jon Barrow is married with four children. An average trip to the movie theater for a family of that size would require two $10 tickets, plus four $8 tickets. That’s $42 $52 before the candy, popcorn, and soda. Most times, they have to leave the youngest with a sitter, as the little one is still too young to really appreciate movies. Needless to say, for a family of movie buffs, all of that can really start biting into the pocketbook. Fortunately for Jon, the family had been using XBMC since 2004, when he installed it on an old Xbox. About two years ago, Jon and his wife bought their first home. A top priority in this search was space for a DIY home theater. After some time, the family settled on a really delightful home that, most importantly, had a spare basement room that measured 9 feet by 13 feet and might have been the inspiration for the basement of That 70s Show. The plan was relatively simple. Demolish the old room. Rip out the fake wood and cabinets, and then make use of the resulting space as efficiently and inexpensively as possible. Perhaps the single most popular picture ever posted to the XBMC Facebook Fanpage (‘like’ us, if you haven’t already) had almost nothing at all to do with XBMC. Palle Olsen was tired of trying to hide his cords. All the usual methods didn’t work or ended up even more cluttery than just letting the cords dangle. So, rather than accept messy cords as part of life, Palle got creative. His old school Xbox running XBMC had relatively few cords. Likewise, the wiring for his speaker system and television weren’t presenting very many problems, and those few problems that did exist had previously been solved. The major issues were the four cords sticking out of the PS3. Palle, being a creative guy, had an idea. To deal with the problem, he was going to hang his PS3 on the wall and then prominently display his cords for all the world to see. Now most people would say that’s a terrible solution to a cord problem. Most people aren’t Palle Olsen. A US service member was living in Great Falls, MT. When the military reassigned him to a base in Turkey, he was met with the unenviable task of trying to squeeze all of the home theater equipment that easily fit is his old house into a much smaller military home halfway across the world. The old house had a living room, plenty of bedrooms and a basement. Sean had read enough on AVSForum to know what to do with a basement that nobody was using. He tricked it out, home theater style. The new house had a living room and a… well, a kitchen and some bedrooms. The bedrooms were being occupied by Sean, his wife, his son and his daughter. Sticking a projector into a kitchen is a risky proposition for any married man who wants to stay married. And that left the already occupied living room. Sean could have given up, put the projector, screen, and audio system into storage, and just waited for a better assignment next go around, but what kind of XBMC geek would Sean be to give up so easily? Instead, he did what every self-respecting nerd would do in a similar situation. He stuck both setups in the same room! For this week’s Feature Friday, we’re going to move from the kitchen to a tiny, spare bedroom. I’m sure many of you are familiar with the massive home theaters with moving parts, star-lit skies, curved screens, and more insulation than an average person could shake a stick at. You may also know that you can only make that kind of thing happen if you have several thousand dollars and an entire year to devote to the project. Most of us have neither that kind of money, nor that kind of time, which is why I like this week’s Feature Friday so much. Rather than dealing with the hassle of going all out, brilliant user João Lima of Brazil decided to cut ALL the unnecessaries out. No stars. No specially ordered screen cloth. No moving parts. A simpler home theater for a more civilized age in your living room. Unfortunately, the wife vetoed this idea immediately. João was forbidden from touching the TV in the living room and was doubly forbidden from interfering with the wife’s shows (many of which were still being broadcast in 4:3 format, a still-common broadcast standard in Brazil). So João did the next best thing. He wanted an XBMC home theater; he had a small, extra bedroom. The mission was on. Rather than focusing on developer work within the team, we thought we’d switch this post up to focus on work by the community at large. But before we do, a quick announcement. For those of you who don’t already know, we’ve decided to name XBMC 12 (the one coming after Eden*) Frodo, after one of the three XBMC founders. You can learn a bit more about Frodo here. As always, the Team wishes him well over at MediaPortal. First, continuing our discussion of XBMC remotes we had last week, Heiner Bach has created the XBMC Commander app for iOS. Check the link for all kinds of picture goodness, and visit the XBMC Commander forum post to learn a bit more of how XBMC Commander came to be. The important bit is that XBMC Commander is at v2.0+ and stable. Most reviews of this software remote appear to be positive, and Heiner does a great job of keeping up with JSON-RPC to keep his remote as up to date as possible. A few caveats: due to recent code changes, XBMC Commander won’t work with XBMC nightlies, so it is recommended that you use the officially supported XBMC 10.1. Also, XBMC Commander costs $3.99, which isn’t a terrible price in the iOS universe, particularly not when you get some well coded software. However, if you don’t have an iOS device, that price could swell a little.